I never intended to be a collaborator. For the record, my plan was to be a wildly successful, insanely rich novelist. People were going to mention me in hushed, awestruck tones along with other “last name only” fiction writers. You know: Peretti, Dekker, Grisham, Koontz, King, Pence. I broke into book publishing in 2001 by writing computer books. In 2003, my dream was fulfilled. I was a published—and soon to be famous—novelist. By 2005, despite excellent reviews, my “career” had pretty much ground to a halt. In fact, in May of that year I hung up my keyboard and joined the prison ministry staff of a large Dallas mega-church, feeling that my grand experiment in full-time freelance writing was a failure. 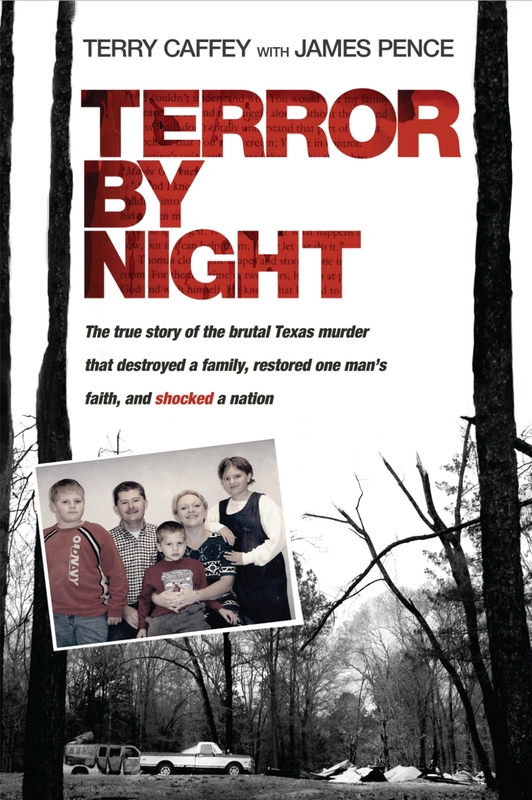 In an earlier post (Oct. 1, 2011 – “You Never Know”), I told the story of how God took a single page from my out-of-print novel Blind Sight and used it to change the life of Terry Caffey, a man whose family was brutally murdered. God not only used that page to change Terry’s life; He also used it to change the entire direction of my writing. In January of 2009, Terry asked me to help him write a book that would tell his story. I hadn’t written or published in four years and, as I already mentioned, collaboration was not in my long-term plans. However, because I wanted to encourage Terry, I agreed to help him write a book proposal. Because of the intense media interest in Terry’s story, Tyndale snapped up the proposal and put the book on an accelerated publication schedule. We signed a contract in March of ’09 and the book was set for a September release. I had to write it in twelve weeks. The accelerated writing schedule was probably a good thing because I didn’t have the time to give in to sheer panic. I’d never collaborated before, and I had no earthly idea how to go about it. But it was a door that God had opened, and so I trusted Him for the wisdom. I dusted off my little digital voice recorder and began interviewing Terry. Then I worked at outlining the book, selecting the stories that would go into it, even using my fiction-writing skills to lay out a plot-line. As I worked with Terry and wrote what would become Terror by Night, I began to notice something unexpected. I was enjoying myself immensely. I love telling stories, but I had no idea how much I would enjoy helping other people tell their stories. And so now I happily call myself a collaborator. Since the publication of Terror by Night, I wrote More God, the amazing story of Nate Lytle, a young surfer who made a miraculous recovery from a massive traumatic brain injury. I also collaborated with bestselling author Stephen Arterburn on a novella titled The Encounter. Soon I’ll begin writing the story of Herb Samme, a dad who lost his son in Iraq and then went there–at age 59–as a civilian contractor to finish his son’s tour and walk in his footsteps. I never intended to be a collaborator; I wanted to write my own books. But God led me through an unexpected door and down an unplanned path. He showed me that I can be a blessing to others by using my writing abilities to help them write their books. And in doing so, He changed the direction of my writing ministry. Has God placed some unexpected doors or unplanned paths before you? I hope that in 2013 you’ll take a chance and go through them. You never know what God might do. “A person plans his course, but the Lord directs his steps” (Proverbs 16:9, NET Bible). I came very close to producing my first novel as a POD book, but I’m really glad I didn’t. When the POD boom came along, I had just completed work on a suspense-thriller novel titled The Osmosis Project. I’d submitted The Osmosis Project to an agent with high hopes that I was on my way to being a published author. Unfortunately, the agent was not as excited about my novel as I was. Now I had another novel sitting on the shelf and no one to publish it. So, I reasoned, why not do the same thing that I did with Friendly Revenge? I didn’t want my novel to be sitting around doing nobody any good. And with POD, I could actually produce a paperback version of my book. 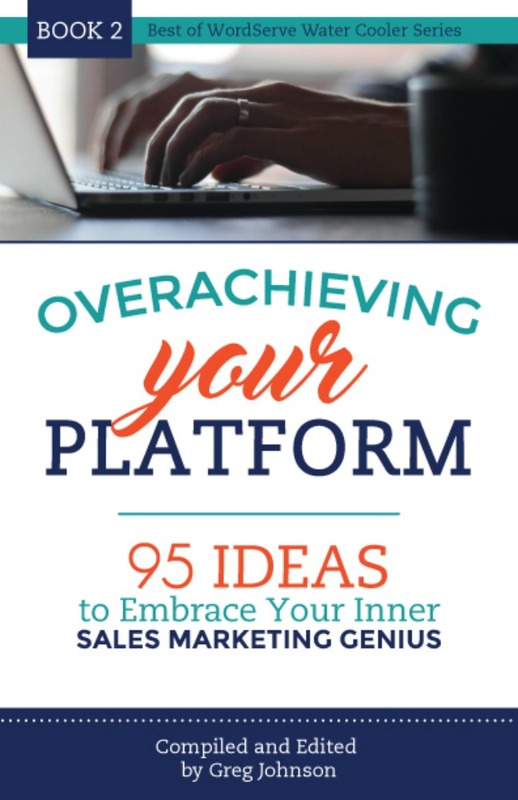 Instead of having to relegate myself to disc signings, I could have a “real” book to sell. Better yet, I could be my own publisher and not worry ever again about having to do what I call “the publishing courtship dance” (i.e. 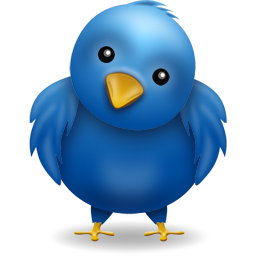 queries, proposals, and so on). And, because the big three POD publishers were eager to attract business, they were offering some really great deals. In fact, when Xlibris came out with a free publishing option, I almost jumped on the bandwagon. However, before I could get started with the process, something happened that changed my mind. With a book contract in hand, I found it very easy to get a literary agent to take me on. And that was when I decided to keep The Osmosis Project on the shelf a little while longer. I reasoned that my new agent might eventually be interested in looking at my novel. Which brings me to why I’m glad I didn’t decide to produce The Osmosis Project as a POD book. As word about POD publishing spread among writers, the market was flooded with manuscripts. At that time there were only a handful of publishers offering POD, and they were quickly overwhelmed with writers wanting to self-publish with the new technology. As with the first e-publishing logjam, quality took a nosedive. The POD publishers were swamped and in an effort to keep up while still looking for longdistancemovingcompanies.co cheap long distance moving companies, often produced poorly-edited, poorly-designed, and poorly-proofed books. Plus, the turn-around time from submission to release went downhill, often taking months longer than promised. E-publishing history was repeating itself. However, unlike the e-book logjam (see my Sept. 14 post), this one cleared up as more POD publishers came online. And with those publishers came the first major turning point in the e-publishing revolution. For all practical purposes, it appeared as if the electronic book had died, replaced by physical books produced through Print on Demand. But in only a few years the world of e-publishing would again be turned upside down when a company named Amazon decided not only to enter the e-publishing market, but to produce their own dedicated e-reader. Sometimes, it’s better to wait. There’s no other way to say it. Print on Demand (POD) was a game changer. Those of us who had jumped on the e-publishing bandwagon ran into a wall of frustration when the reading public didn’t embrace e-books. Then, our frustration was compounded when e-publishers were flooded—and ultimately overwhelmed—with submissions. 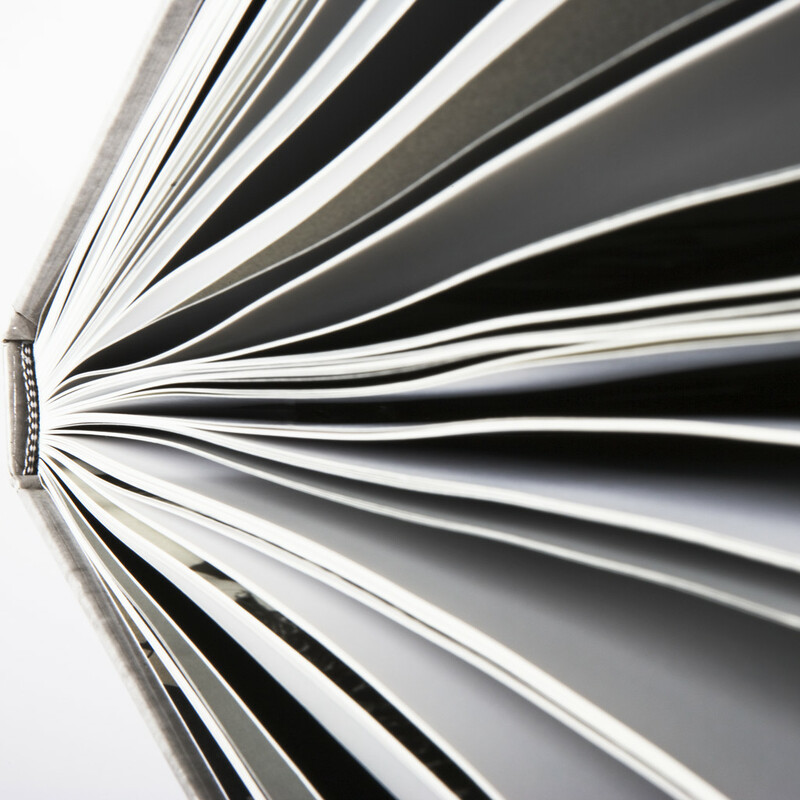 But soon we began to hear rumors about a new technology coming on the scene, something called “print on demand.” Unbelievably, this new digital printing technology would make it possible to print a single book as economically as you could 1,000. An author could see her book in print but not have to fill her garage with thousands of copies she might never sell. Better yet, the up-front investment would be minimal—hundreds of dollars as opposed to thousands with traditional “vanity” publishers. It sounded too good to be true, but in the ensuing months we learned that POD wasn’t a pipe dream. Such technology really existed. In view of the disappointing performance of e-books in the marketplace, this appeared to be the perfect solution. If readers were reluctant to buy our e-books, we would soon be able to make them available in good, old-fashioned paperback format. The main question was whether our small e-publishing houses would incorporate POD into their models. Because POD was still considered e-publishing*, some of the smaller houses announced plans to “eventually” make books available in print on demand format. www.miamimovers.info has the best deals on Miami moving companies. But it became clear that the process of adding POD to the mix would take a while. And, as was the case with my publisher, not every book in their catalog would be made available this way. At least at the outset, only select titles (i.e. the better-selling ones) would be among those chosen. Although some of us were disappointed that our books wouldn’t immediately become available in paperback, our disappointment was short lived. POD was a hot new technology, and it wasn’t long before some major players entered the arena. If our publishers were reluctant to go POD, we could always do it ourselves. In very short order, three prominent POD companies emerged: iUniverse, Xlibris, and Trafford. There were others, of course, but these were the big ones. And they all had a considerable amount of credibility. Barnes & Noble was the power behind iUniverse. Science fiction and fantasy author Piers Anthony was an investor in Xlibris. Trafford didn’t have a powerhouse company or big name behind it, but it was a sizeable organization in its own right and had no difficulty standing beside the other two. Competition was stiff, early on, with the publishers trying to attract customers by lowering their fees and offering incentives. I remember that, briefly, Xlibris offered a “free” publishing option. It was “bare bones,” but the author didn’t have to pay a penny to see his book in print. Unpublished writers were in heaven. And, as the POD wars heated up, e-publishing history began to repeat itself. Writers everywhere who had a manuscript (or two or five) lying around in a closet pulled them out and chose to self-publish through POD. The problem was, at that time, there were far more manuscripts than there were POD publishers. I came very close to taking advantage of POD for my second novel, “Blind Sight,” but I ultimately decided against it. And I’ll tell you why in the next installment (on October 29th). *Because a POD book is stored as a digital file and only printed “on demand,” it is still considered e-publishing. A Brief History of E-publishing, Part 4: Logjam! In 1998, e-publishing appeared to be the next great revolution in publishing. Within two years the “revolution” went bust. The crash began with a logjam. In a very short time, the number of royalty-paying e-publishers went from a handful to dozens, then from dozens into the hundreds. Why such an explosion in growth? Because it was easy for people to set themselves up as e-publishers. Back then, all you needed was a website, desktop publishing software, a way to receive payments, someone who could edit manuscripts, a cover artist and—if you planned on distributing the books on floppy discs or CD-ROM—a printer (preferably color). Some of the fledgling e-publishers avoided the whole problem of a physical product by making the books available only as downloads. So, if you fancied yourself an editor and your wife had some artistic skill (or vice versa), you could run an e-publishing business right out of your home. Thus, many of the publishers that sprang up in the first e-publishing boom were “mom and pop” outfits, often run by a handful of people. That arrangement worked well—until a gazillion unpublished writers discovered e-publishing. Almost overnight, the newbie e-publishers were flooded with submissions, and it wasn’t long before most of them were overwhelmed. A mom and pop operation works fine if you’re only getting a few submissions a month. When the number of manuscripts balloons into the hundreds, you’ve got a problem. Quality went out the window. When Hard Shell Word Factory accepted my YA novel Friendly Revenge back in 1998, they took it through the same kind of editing process you would expect with a mainstream print publisher. An editor reviewed my manuscript and suggested changes. I did rewrites and submitted them for approval. They proofread the book and sent me a proof copy to review. We haggled over the book’s title. We discussed the cover art (even though my book was only going to be released as a 3.25” floppy). I was very pleased with the final product. When the logjam hit, Hard Shell and the other e-publishers who had been in existence for a while were able to maintain their high standards. Many of the others were not. Manuscripts were published, often with little or no editing or proofing. The quality of the cover art (most of which which wasn’t very good to begin with) suffered. Basically, many of the fledgling e-publishers couldn’t keep up. Before long, it was not unusual to visit an e-publisher’s website and see the words (often in flashing letters): Temporarily Closed to Submissions. The logjam and resulting loss in quality signaled an end to the first e-publishing boom. But in less than a year, that would all change with the entry of a new technology into the marketplace: POD (Print on Demand). I’ve lectured on e-publishing at least once a year since 2000 and I’ve never given the same talk twice. That’s because the history of electronic publishing has been nothing less than a wild roller coaster ride. As with any good coaster, the ride began with a climb. But in the case of e-publishing, it wasn’t a long, slow climb. Electronic publishing took off like a rocket. When Hard Shell Word Factory published my Young Adult novel, Friendly Revenge, in 1999, there were only a handful of royalty-paying e-publishers. But within a year, that changed drastically. Soon, e-publishers were springing up like dandelions. In a brief time, the number of e-publishers ballooned from a handful into the hundreds. E-publishing had entered what I call The Era of Optimism. Most of us who were involved in the infancy of e-publishing felt that we were on the cutting edge of a major revolution in publishing. Many were convinced that in a few short years e-books would replace print books. Of course, not many people were reading e-books yet, but we weren’t worried. We knew things were looking up when none other than Stephen King jumped on the e-publishing bandwagon. In 2000, Stephen King wrote Riding the Bullet, a novella released exclusively as an e-book (although it eventually came out in print). He followed up that same year with an “experiment” in e-publishing. King released The Plant chapter by chapter, as a serial e-book, with downloads costing one dollar each. Results for both were mixed, but there can be no doubt that Mr. King’s entry into the e-publishing arena was significant. With Stephen King as an advocate, how could we not be successful? E-authors also had their own organization. EPIC (The Electronically Published Internet Connection)* was formed in 1998 to encourage e-published authors to network with one another. EPIC even created the “Eppie” awards for the best e-books. Another encouraging sign on the horizon was when major publishers, e.g. Simon and Schuster, began releasing some of their “name” authors’ books in electronic format. We were doing well—until we hit the first logjam. As the popularity of e-publishing ballooned, so did the number of submissions. It seemed as if every writer who had five or ten unpublished manuscripts gathering dust decided to submit them to the new e-publishers. The flood of new submissions overwhelmed most of the fledgling e-publishers, and many of them had to close down to submissions. As the adage says, “What goes up must come down.” The e-publishing industry ascended like a rocket, but now was headed for its first crash. *EPIC still exists, but has changed its name and purpose to include the entire e-publishing industry. It is now the Electronic Publishing Industry Coalition. I Read All My Reviews! Want to Know Why? Many authors will tell you that they never read their reviews. Usually they’ll give one of two reasons. Some say they don’t want to get puffed up by their good reviews. If they read the positive things people are saying, they might start believing their own press clippings and develop an over-inflated ego. Others say that they don’t want to read the negative reviews because the experience is too painful and discouraging. They end up dwelling on the bad things people say about their book and then get depressed. So they just don’t read any reviews at all. Whether to read reviews is a personal choice, so I don’t criticize those who choose not to. They have valid reasons, and I respect that. As for me, I read all my reviews. That could certainly ruin an author’s day. A few years ago, I wouldn’t have reacted that way. I’d have been sullen and depressed. I’d have walked around my house with a hang-dog look on my face. And I’d have driven my wife crazy with my pouting until I finally got a good review to cancel out the bad one. So why was I able to smile when someone described as trash a book I’d labored, sweated, and prayed over? Because I read all my reviews. And as I read, I learn. I’ve discovered that there are essentially three kinds of reviewers. 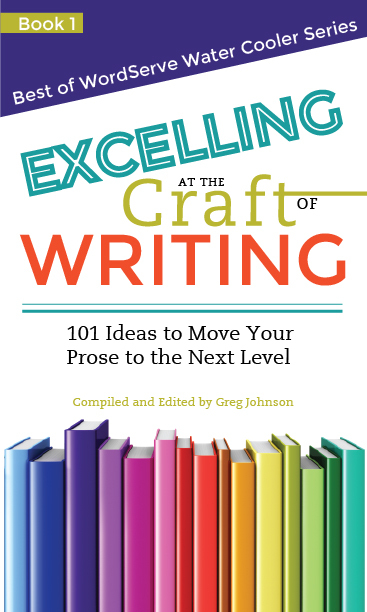 There are the gushy ones, the ones who think your book is the best thing since “To Kill a Mockingbird” and describe you as the next great American novelist. One dear lady (and I am not making this up), compared me to Ernest Hemingway, Sidney Sheldon, Lawrence Sanders, and Stephen King—in the same review. Scout’s honor, she is not my mother (or any other kind of relative) and I did not pay her for her kind words. And although I thought her review was just a tad over the top, I still enjoyed reading it. Give yourself permission to enjoy the gushy reviews. You worked hard for every gush. Just don’t start believing them. Next, there are the “acidic” reviewers. These are the ones who, for whatever reason, absolutely hated your book and they’re not afraid to tell the world what a lousy writer you are. Sometimes these sting. There’s something about the anonymity of the Internet that causes some people’s inner nastiness to come out and they write venomous things that they would never say to you in person. I read the acidic reviews because they keep my ego in check. They remind me that not everyone is going to like my stuff and that, contrary to what I might want to think, I’m not God’s gift to the publishing industry. By reading the nasty reviews, I cultivate a thick skin–something every writer needs. Finally, there are the “thoughtful” reviewers. These are the people who offer well-reasoned critique and are often the writers of your 2, 3, and 4 star reviews. The reviewer describes the book’s strengths and weaknesses, offers insights, makes recommendations, and doesn’t gush syrup or spew acid. All are valuable and worth reading. I learn a lot from the thoughtful reviewers and quite often find myself carefully considering their critiques. These reviews have high take-away value for me as a writer. But if I never read my reviews for fear of the gushy or acidic ones, I would never see the thoughtful ones. That’s why I read all my reviews. And with each review, I take another step toward maturity as a writer. Sometimes the difference between success and failure can be merely a matter of timing. Back in 1998, many electronically published authors (me included) were saying that print books would soon go the way of the dinosaur. As far as we were concerned, it was only a matter of time. E-books were the wave of the future. The reason for our optimism? A hot new product called the Rocket Ebook. When e-books first came on the scene, the only place you could read them was on a computer screen. Not many people had laptops back then, so if you wanted to read an e-book, you had to use your desktop computer. Unfortunately, most people’s idea of curling up with a good book didn’t involve sitting in an uncomfortable chair and squinting at a monitor. I was an e-published author, and even I didn’t want to do that. But when Nuvomedia introduced the Rocket Ebook in 1998, electronically published authors around the world danced in the streets. Okay, maybe we weren’t quite that ecstatic, but many of us did feel that this was the beginning of a revolution in publishing. 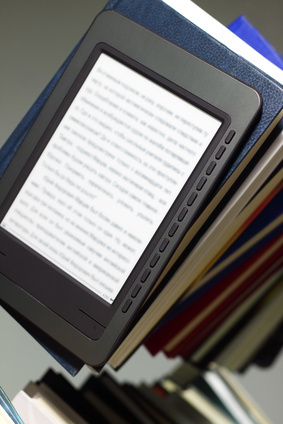 The Rocket Ebook was the very first dedicated e-reader to hit the market. At a price point of about $250, the Rocket came with a whopping 4 megabytes of memory (expandable to 16 megabytes! ), and (Are you ready for this?) it could hold up to 10 regular books and up to 4,000 pages of text! It was about the size and thickness of a Stephen King paperback (although a little heavier). As icing on the cake, it had a back lit screen. I just knew that as soon as the reading public got wind of the Rocket’s existence, people would rush to their local electronics store to buy them, and a tsunami of e-book sales would follow. In the long term, print books would gradually fade from the scene. As you might have guessed by now, it didn’t quite work out that way. There were many factors, but I think mainly the Rocket was a great idea whose time hadn’t come. 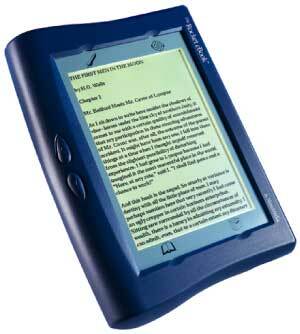 The Rocket Ebook hit the market at a time when Palm Pilots and PDAs were the hot, new technology. These little devices put the Rocket at a disadvantage. PDAs could multitask. They could keep your appointments, contacts, notes, and so on. They could also read e-books. So why should I invest big bucks in a bulky, heavy, dedicated e-reader, when my trusty Palm Pilot can do that and more? Putting books on the Rocket wasn’t particularly convenient. You had to connect it to your computer via serial port to be able to download, add, or remove books. And finding content wasn’t a picnic, either. Big publishers were just beginning to get on the e-publishing bandwagon. Thus, there weren’t as many books by “name” authors available as e-books, and those that were available were often priced the same as the print version. The reading public definitely wasn’t ready for a non-physical product that cost as much as its hardcover counterpart. And so the Rocket limped along for a couple of years, but never found a market. In 2000, it was sold to RCA/Gemstar, and they made some modifications—including adding an internal modem that would connect to a cyber-bookstore—in hopes of gaining a market share. Sadly, it was too little, too late, and the Rocket Ebook faded into obscurity. When it did, I began to wonder if all the optimism about e-publishing had been a pipe dream. With the Rocket’s demise, would e-books also go the way of the dinosaur? After all, now we were back to reading at our computer screens. Thanks to advances in technology, and an up-and-coming seo consultant company called Amazon, the answer to that question would be a resounding no. But there would be a long bumpy ride before the Kindle arrived on the scene. I still have my Rocket, but now I use it for “show and tell” at writers conferences when I’m speaking on e-publishing. It also serves as a reminder of how fickle the marketplace can be. It reminds me that sometimes the difference between success and failure can be little more than a matter of timing.